I was in the office at Luis Valdez Leadership Academy (LVLA) waiting to interview Founding Director Jeff Camarillo for today’s post. As I sat down, a student walked out of Mr. Camarillo’s office and his assistant poked her head into the door carrying several messages for him. Before she walked out of his office, he was on the phone taking a call. I could hear Mr. Camarillo energetically brainstorming solutions with a colleague. He hung up, and before I could even see him, he enthusiastically welcomed me to the academy. Walking out of his office he greeted me with a big smile and hug, Latino style. It was about 2:30 in the afternoon, right around the time that most people start feeling the after-lunch blahs. Not Mr. Camarillo, he was a bundle of energy. The LVLA is a new charter school located in east San Jose. It’s the second high school chartered by the National Hispanic University Foundation. As the education community grapples with the Latino academic achievement gap and debates over the most effective way to close it, institutions like the NHUF are seeking out-of-the-box solutions like their flagship school Latino College Preparatory Academy and LVLA. Charter schools are proliferating in Silicon Valley, especially in east side Latino communities. For the past three years, I’ve studied charter schools and their impact on Latino students and neighborhoods. Charters are publicly-funded schools that operate without being handcuffed by the constraints of traditional public school rules. This offers advantages to be sure. But the jury is still out. LVLA isn’t a chain charter school. It’s an innovative concept. Education leaders serious about closing the Latino academic achievement and college attainment gaps should pay attention to the formula developed at LVLA. Let’s start with staffing. Director Camarillo is an Ivy League and Stanford educated son of a distinguished Stanford professor. The Dean of Instruction also studied at a prominent Ivy League university. The team of teachers includes many who are first in their families to go to college, so they will have an intimate and culturally conscious understanding of their students’ experiences. The savvy staff will work in an environment of a college-going culture. Nearly all of the 95 incoming freshmen that represent the Founding Class just completed a two-week summer bridge program where they were introduced to the school’s vision. The program included events and activities at Stanford and U.C. Santa Cruz. A trip to visit East Coast universities is in the works. When students walk through the doors on the first day of school on Monday, they will have a rigorous schedule of classes. The “A-G Checklist” that’s required to gain acceptance into the University of California and California State University systems is the default curriculum at LVLA. So the college-going culture isn’t just a feel-good tactic, it represents the core of daily academics. Rather than focusing on computer-based learning, LVLA will implement the tried and true strategy of individualized teaching and guidance. Teachers are committed to getting to know each student and students will have an advisor that follows them through the four years they prepare for college. Add a visual performing arts program created for LVLA by the famed El Teatro Campesino and you have a robust curriculum. The legendary playwright Luis Valdez was on hand for the ribbon-cutting ceremony last week. The self-proclaimed “east San Jose homeboy” delivered keynote remarks that took the audience on an inspiring journey from the Latino struggle for civil rights nearly a half century ago to the innovative Silicon Valley school that now bears his name. During my 20-minute interview with Director Camarillo, I could hear the passion in his voice and see the determination in his eyes as he described his vision for the future. As we were talking, from the corner of his eye he caught a mom and her son looking for the campus office. He jumped out of his chair, opened the window, and guided them to the office in Spanish. The mom smiled warmly knowing that her son was in the right place. The vision, staff commitment, academic rigor, and extracurricular enrichment are all in place to make LVLA a great school. Now Mr. Camarillo and his team have to execute. After attending the school’s opening and spending a few minutes with the person who’s charged with leading the effort, there is no doubt in my mind that they’ll succeed. I walked off campus feeling confident that something special is happening on the east side. What are those “cultural, societal, and self imposed limitations” the reader mentions in his comments? What causes them and how can school systems overcome them? My friend Linda Ortega, a retired educator, recently posted a video on Facebook that shines a light on how cultural and societal representations of people of color impact children. The video shows young Black kids evaluating the value of white and black dolls solely based on color. Their answers are predictably disturbing: the white doll is good and black doll is bad. Cultural images of Latinos are similar, so one could argue that the resulting negative effect is the same for Latino students. In the mainstream media, Latinos are portrayed as tattooed gangsters, illicit drug traders, domestic workers, gardeners, and Spanish-speaking undocumented immigrants. Given these images, it’s understandable that all but the most motivated students impose limitations on themselves and don’t do the hard work that’s necessary for academic success. The cultural and societal representations of Latinos also impact the expectations of educators and school systems. School board members, administrators, teachers, counselors, and school support staff also see the same portrayals of Latinos in the media. Former California State Superintendent of Schools Jack O’Connell called this phenomenon the “expectation gap.” Despite his recommendations to address this gap, little has been done about it at the policymaking level. So how do we as a society overcome these cultural and self-imposed academic limitations on Latino students? First of all, we need to talk about it. We should have what educational equity experts call a “courageous conversation” about how race impacts our school systems and students of color. This is difficult to do in an era when people don’t want to acknowledge that race is still a barrier to achievement. The video that Linda Ortega shared proves that we’re not even close yet. Once we have that “courageous conversation,” school systems may better understand why many Latino students truly believe that they are limited to the roles portrayed in the media and that educators unwillingly may perpetuate that expectation. Many Latino professionals I meet during my travels recount stories of teachers and counselors with good intentions encouraging them to seek opportunities in the trades and the service industries. In California, the governor has changed the funding mechanism to provide schools with more dollars to better serve its students. School boards and administrators are rushing to upgrade technology and infuse teacher development funds for the Common Core, the latest one-size-fits-all social and political solution to academic achievement woes. Despite higher standards and increased funding, our state is headed down the same road unless we truly change what we expect from over half our students. Education policymakers at the school district level need to invest in raising the expectations of Latino students through systematic and comprehensive educational equity and culturally relevant teacher training, as recommended by former State Superintendent O’Connell over five years ago. This will help resolve the challenge of “getting students to believe that they are NOT limited to those [low-wage service and support] roles” described by a reader of this blog. It could be generations before the mainstream media and society change their perceptions about the largest growing community in the United States. That’s why our education systems are so important in effecting change and preparing the next generation of breadwinners and leaders. Maintaining a large and permanent underclass in the nation’s biggest state doesn’t bode well for our future. Education policymakers can take the first courageous step by investing in systematic change in their perceptions of Latino students. Only then can Latino academic achievement begin to reach the levels necessary for our state’s future success. I hope to hear from readers on this as I continue the conversation next week. The Latino Decade Is Here…Now what? I was invited a couple of weeks ago to be the featured speaker at the Enhance Your Potential Conference hosted by Gavilan Community College. The conference included workshops on practical skills to provide students with tools to navigate through college and the competitive job market. My role for the conference was to give a motivational talk about the value of a college education and the limitless opportunities available to those with a degree. I was rehearsing my prepared remarks on my morning walk through the neighborhood when I was pleasantly surprised to hear norteño style Mexican music blaring from a house. Since it was home to an Indo-American family, I was confused until I saw Latino workers inside. On the drive to Gavilan College, I stopped at a McDonalds drive-thru for a Diet Coke. The young woman who took my order was Latina as was the older woman who gave me the soda. A group of about 70 undergraduates attended my talk at the conference; about three-quarters of the students were Latino. After the speech, on my way back to San Jose, I heard Latina megastar Shakira singing on a easy-listening radio station. I started reflecting on how every ten years since the 1980s demographers proclaim that we’re living in the “Decade of the Latino.” Given that Latinos and Latino culture was all around me that day, it appears that the Latino Decade has arrived In California. What does that mean? Now what do we do? The Pew Hispanic Research Center estimates that there are 14.3 million Latinos statewide, which represents a plurality (39%) of the Golden State’s population. A more telling number is that over half of the state’s 12 million students are Latino, according to the California Department of Education. 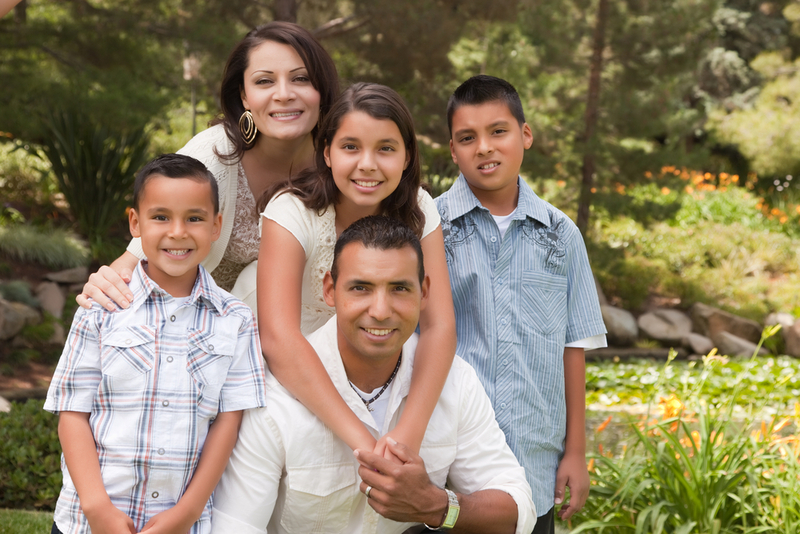 Latinos are part of everyday life in California and come from every sector of our community. This means that a whole bunch of us live in California. Before racist fear-mongers prepare to fight a Latino revolution or old-school Chicanos call for a coup, let’s look at the reality that, despite the massive shift in demographics, most Latinos still work at low-wage service and administrative support jobs. This isn’t good news for California’s future. Public policy analysts have been warning for years that the state can’t sustain itself if more than half of the population is undereducated and absent from civic life. So, what do we do about this? First and foremost, we must provide access to a quality education for all students, including the 50-plus percent who are Latino. Unfortunately, state policymakers have historically failed to do this. During the 1930s, 40s, 50s, educators sought to “Americanize” Latinos by teaching valuable skills like eating bacon, eggs, and toast for breakfast instead of chorizo, beans, and tortillas. I’m not making this stuff up. In the 60s and 70s, the Chicano Movement took hold and forced school systems to realize that Americanization wasn’t working. Bilingual education became all the rage in California schools throughout the 70s and 80s. There was one major problem with this, most Latino children were born and reared in the United States and grew up speaking English. The watered down bilingual curriculum was devoid of academic rigor. When Mexican immigration increased during the 80s, Ron Unz and his entitled Silicon Valley chums thought ridding the state of Spanish altogether was the solution. Voters passed his state initiative banning bilingual education and education policymakers were again scratching their heads. English as a Second Language (ESL) was the answer, they thought. Forget math, science, and history. Immersing students in English for the entire school day will prepare them for the 21th century. The state’s response to educating Latino students has always been based on political and social practices, rather than academics. Americanization, bilingual education, and ESL all left out the most important factor of a quality education: high academic standards. Each one of these movements places the responsibility entirely on the socialization of the student and not the practices of the system. If students just assimilated to “our” ways, the thinking has been, they would be smarter. Most experts agree that a quality education is multi-dimensional. High academic standards, well-trained teachers, high expectations, and parent involvement form the cornerstones for academic achievement. Traditionally, schools with large Latino populations lack one or more of these cornerstones, thus access to a quality education is difficult. That’s starting to change in Silicon Valley. 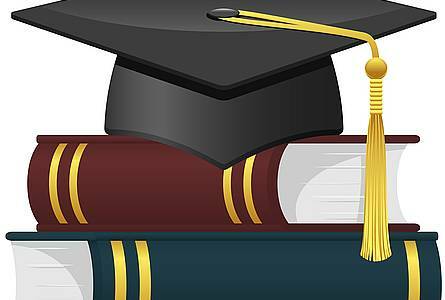 The East Side Union High, San Jose Unified, and Palo Alto Unified school districts have all raised graduation requirements to meet college entrance eligibility and the state plans to spend $1.25 billion dollars training teachers in the recently approved Common Core Standards. Parent involvement is also increasing and these school districts have active Latino parents groups. 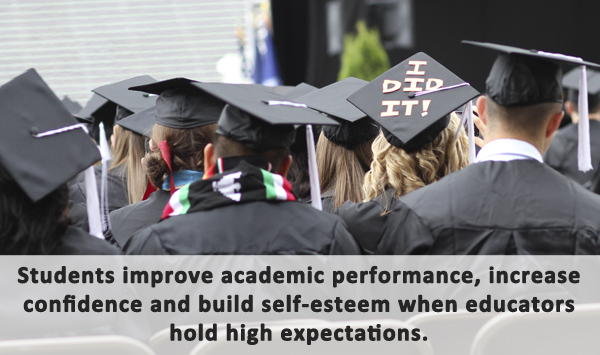 Missing are high expectations for Latino students. A 2009 State Superintendent of Schools report on closing the academic achievement gap recommends that high expectations, educational equity, and culturally relevant teacher training should be included in schools’ approach to educating Latino students. However, little has been done to implement this recommendation. Could it be that the mindset of our school systems is that Latinos should be working in service and support roles? If so, why? Could we even change that mindset? Look for more on this next week. Last week’s post about the Latino student expectation gap struck a few chords with readers. Most commentators voiced support for raising student expectations through equity policy and culturally relevant training for educators. They ihttps://esereport.wordpress.com/wp-admin/index.phpncluded college professors, education administrators, and parents of school-aged children. Others shared their own stories of how they overcame the barriers created by the inherent bias of the Mr. Jones Effect. One reader especially caught my attention by challenging the notion that inherent bias in individuals and school systems result in low expectations of Latino students. The reader concludes that the Mr. Jones Effect isn’t caused by bias, so “cultural relevancy is not as important as the ability to spot individual attributes.” If this is a debate about the ideology of rugged individualism vs. institutional intervention, the reader’s argument would be cogent and sound. However, this isn’t an issue that can afford to be caught up in the quagmire of ideological debate. One just needs to look at the current paralysis of the federal government to see that ideological sparring isn’t productive. This issue is about raising expectations and accountability, allocating resources, and providing access so Latino students have an opportunity to achieve academically in our increasingly competitive world. The reader stated that individual student success is “still about [the school system] providing equal opportunity, plain and simple.” Makes sense, right? With equality, every student receives the same resources and access. The problem is that not all students are born equal. The child of a Beverley Hills heart surgeon has a dramatic advantage in resources and access to quality education compared to the child of an East Los Angeles landscaper. So, providing equal opportunity in the school system actually widens the resource and access gap. With that said, the school system should provide an equitable opportunity to all students. Equity is the concept of allocating resources and providing access to where they’re needed, not equally, or the same, across the board. Governor Jerry Brown’s recent schools funding mechanism is an example of assigning resources equitably. Local school districts should allocate their newly gained resources in the same equitable manner to level the playing field for Latino students. This brings us to culturally relevant training. The reader raised valid issues when he asked the following questions about Mr. Jones: “Did he not care?” “Was he being racist?” “Was he culturally biased? “ “Was he even trained to assess human potential?” Of course, only Mr. Jones himself can accurately answer those questions, but I’ll take a stab at answers: I believe he cared, I don’t think he was being intentionally racist or culturally biased, and he probably wasn’t trained to assess human potential. There’s a good chance, however, that his unintentional inherent bias was trained to pre-judge a student’s potential based on race and socio-economic background. That’s why culturally relevant training for school board members, administrators, counselors, teachers, and staff is so important. Conservative critics will dismiss this as another minority as victim feel-good program. They’re wrong. Culturally relevant training is about individuals and school systems coming to terms with their own inherent biases to view Latino students as distinct human beings that should be expected to achieve in a rigorous academic environment like everyone else. In short, educators will be “trained to assess human potential,” and not assess students on their own perception of Latino potential. In the final analysis, the reader and I are on the same page with respect to Latino student academic achievement. We both want high standards, accountability, and personal responsibility. He stated it perfectly by saying that public education is “also about making sure that educators know that they are in the human potential business.” As the Latino population continues to grow at an exponential rate, the future of California and, in the long view, the future of our nation depends on Latinos to be successful. Latinos, like all human beings, have the capacity to learn and achieve. Individuals need to capitalize on that fact and institutions need to allocate the resources and provide the access to provide a level playing field so that individuals can achieve their potential. Engaging in ideological debate over whether the individual or institution is responsible for one’s success is fruitless. As another reader eloquently commented, “I’m for action…No talking; let’s do.” I agree. So, let’s get on with it. The school year is in full swing and once again the education community will engage in the age-old question, “Why can’t Latino students close the academic achievement gap?” A parade of education experts and sociologists will tell us that poverty, language barriers, gangs, drug and alcohol use, and indifference are the root causes. Of course, these challenges do exist. Most Latino students, however, come from hard-working families that want a better life for their children. San Jose State University adjunct professor of education Glenn Singleton puts it more bluntly in his book, Courageous Conversations About Race, where he says that students of color are “viewed by the school system and the larger society as a problem,” which results in the common belief in “their inability to thrive in ‘mainstream’ society.” I’ll share a few of stories that illustrate Professor Singleton’s point. The first story is about my high school guidance counselor. I don’t want to use his real name, so let’s call him Mr. Jones. I wasn’t a stellar student, but I passed college prep courses and did well on the SAT, so I was eligible to apply to San Jose State University. During senior year, Mr. Jones advised that I consider learning a trade as he did not believe that I could meet the rigor of college. He provided no further explanation. Lucky for me, my parents had higher expectations. Those not so lucky were certainly negatively impacted by the counselor’s guidance. I call this the Mr. Jones Effect. Almost 30 years later when I was a school board member at the East Side Union High School District, Latino students shared their versions of the Mr. Jones Effect with me. Some counselors and teachers were discouraging them from even taking college prep classes, essentially institutionalizing their inability to be eligible for college. When I was elected president of the school board I proposed the “A-G Initiative,” at the urging of a group of students called Californians for Justice, to make college entrance requirements the basic curriculum, thereby eliminating the school system’s ability to discourage students from pursuing a college education. This brings us to the third story. 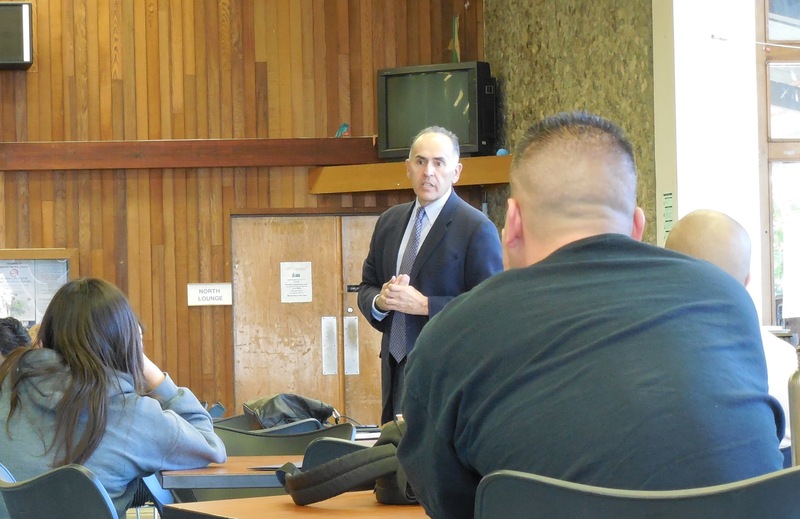 Shortly after proposing the “A-G Initiative,” I began meeting with teachers to garner their support. I was met with skepticism and doubt. Teachers explained that the initiative was setting up students to fail because many of them came from poor households with language barriers and an indifference to school. One math teacher, who happened to be Latina and an East Side grad, summed it up by telling me with sincere conviction, that “these kids just can’t do Algebra II.” I was stunned! Despite this opposition, the school board unanimously approved the “A-G Initiative” in 2010 with the leadership of the Silicon Valley Education Foundation and strong support from students, parents, and the community. The Class of 2015 will be the first class in East Side’s history that every graduate is eligible for college. Unfortunately, that alone won’t close the achievement gap so long as the institutional expectation gap persists. My Mr. Jones story, similar stories three decades later, and some teachers’ low expectations of Latino students proved Singleton’s contention that school systems do not believe that certain kids can thrive. Critics call the Mr. Jones Effect racial profiling at best and institutional racism at worst. I don’t believe it’s either. The problem is systematic and individual unintentional bias. Regrettably, it doesn’t matter what the intent is, the result for Latino kids is the same. There’s hope. Superintendent O’Connell’s bold statements about race and education in 2007 have opened the door, however slightly, to the notion that education leaders and front-line educators need to have the courageous conversation about how inherent bias plays a vital role in how school systems educate Latino students. Educational institutions must find a way to look past the poverty, language barriers, etc, etc. to develop strategies and solutions to help “these” students achieve. There has been a simmering discussion about how to do this in academic circles from education thinkers. Understanding that teachers need the resources to overcome the challenges they face on a daily basis, thought leaders like Dr. Linda Darling-Hammond, Dr. Edwin Lou Javius, and Singleton have long advocated for educational equity and culturally relevant teacher training. Equity policy will move the resources to where they’re needed to support teachers and culturally relevant teacher development could help in the elimination of the expectation gap. So, can Latino students achieve? The short answer is “yes.” First, education policy makers and administrators must have the courage to acknowledge that race plays a role in educating our kids. Second, our leaders need to allocate resources equitably to ensure that teachers and administrators have the tools to help students succeed. Third, school systems (school board members, administrators, teachers, staff, students, parents, community members) need to look deeply into how their own inherent biases affect our kids and how they could change their thinking so Latino students can thrive. There is no silver bullet here. It will take commitment and hard work. We just need education leaders to take that first step by acknowledging the existence of the expectation gap and making equity policy/culturally relevant teacher development an integral part of their plans to close the academic achievement gap for Latino students. Okay…let’s get started. Who wants to be first?